Goals and Purpose of Program: The 5K Run/Walk Training Program caters to a broad range of interests. Whether you want to walk your way to improved health and fitness, begin running or have other running goals, this program will address your objectives! Perhaps you are currently unable to run continuously for more than 20-30 minutes, been injured and need to decrease your workout intensity, or you simply wish to become a faster shorter-distance runner; in any case, this program is for you! Summer/ Fall 5K is a non-competitive program and the training sessions build up gradually to prepare participants for the goal race and for future running or walking success, all while maximizing fun and avoiding injury. Using either a laptop or a desktop computer, click here to view highlights from a previous season! As you will see, all shapes, sizes and skill levels are welcomed! The 5K Run/ Walk program takes a holistic approach to wellness. The program emphasizes the importance of cross training, rest, healthy diet, discipline and running/walking as integrated parts of your healthy and happy lifestyle. 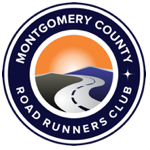 Prerequisites: MCRRC membership is required for everyone except Potomac Community Resources members. All participants must be at least 18 years of age. Interested families with minor children may want to consider the Olney Cross Country Club. Cost/Premium Info: The cost of the program is $50.00. Included in the fee is a technical running shirt with the program’s logo for participants who attend a minimum of 5 of the first 8 sessions, end of program celebration party and Finisher premium. Yahoo Group Communications: We will use our own Yahoo group to facilitate communications about the program and the workouts. All 5K Run/ Walk Program participants are required to join the 5K Run/ Walk Yahoo group! When joining the group, please include your first and last name in the “Comment from User” field so that your membership to the group can be verified. Only registered members of the 5K Run/ Walk Program will be approved. Participants are also encouraged to join MCRRC-Info (details below under “Communication Methods”). Wanda joined MCRRC’s 5K Program in 2001 and was the driving force behind many of its subsequent spin-offs: the 5K Walking, 8K, 10K and Half Marathon programs. In addition to leading this program, she is a pace coach for the Winter 5K and Summer Half Marathon programs. As an RRCA-certified running coach, she has been involved in almost all of MCRRC programs as a participant, coach and/or administrator. She is also an active volunteer and has served on several MCRRC committees. Since 2011, Wanda has been either the first, second or third place age group winner for the MCRRC’s Championship Series. In addition, Wanda also consistently places either 1st or 2nd for her age group at the Rockville 5K race each fall. Wanda was honored as the 2015 MCRRC Coach of the Year! What keeps Wanda so involved in MCRRC is the constant inspiration she receives from interacting with so many different runners, regardless of experience, pace or age. Details: Come dressed to run and bring water. Pace Group Information: Based on your registration input, you will be placed in one of five coach-led pace teams: Blue (11:00/mile or faster); Yellow (11:00-13:00/mile); Red (13:00/mile and greater); Green (13:00/mile and greater with more walking intervals than Red team) Purple (Walkers). Wednesdays @ 6:45 PM; Montgomery College Track (Rockville Campus). Sundays @ 7:30 AM: varying locations. For runners, the Sunday workouts alternate running with walk breaks. Walkers alternate between brisk and leisurely walking. The first Sunday session will take place August 26, 2018.